Great noser, lackluster on the palate, and all-over unusually light. I think of this as an agricole, more than a “real” Cuban rum. I’ve said before that Renegade’s series of rums are occasionally squirrelly – some are pretty cool, like the St Lucia variant, while others strive for greatness and stumble at the end, like the Grenada or the Guyana 16 year old. But in few other editions of the series, is that periodically discombobulated nature more on display than in the Cuba 1998 11 year old, which was not only a leap away from what might loosely be interpreted as a Cuban rum profile, but is actually a bound over the skyscrapers of rum taste that might conceivably make Superman shred his cape in rage (assuming he drinks the stuff). 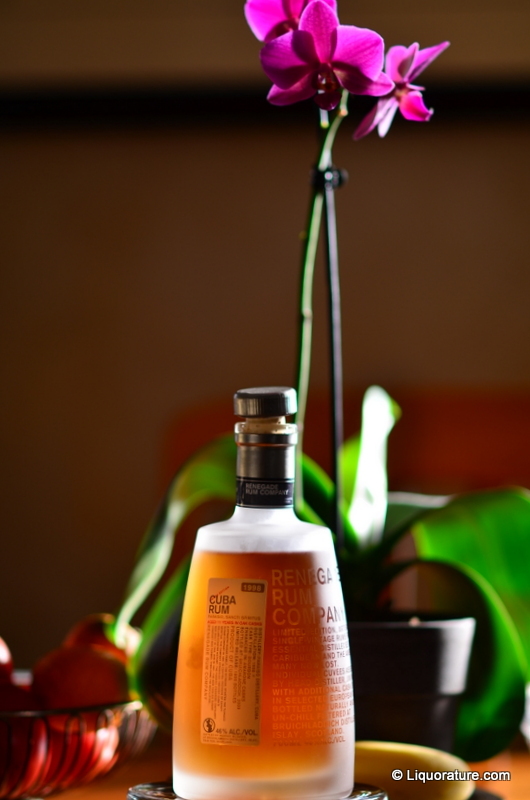 The Renegade Cuba 1998 11 year old rum is a non chill-filtered, limited bottling of 1800 bottles, originally distilled in 1998 in the Paraiso distillery in Sancti Spiritus in Cuba and matured for 11 years in white oak bourbon barrels, and then finished in Amarone casks. The founding family of the Paraiso distillery, the Riondas, began their sugar business in 1891 with a company called the Tuinucú Sugar Company in the Central Cuban province of Sancti Spiritus (which was also near to the original Bacardi distillery). In 1946 the Paraiso Distillery was created and in 1951, the Tuinucú Sugar Company was consolidated into both plantation and distillery operations. Poor timing, if you ask me, since the revolutionary Government took over the entire kit and kaboodle not long after and has run the show ever since. What the hell is this thing? I wondered, as I poured myself a glass of this bright amber spirit. Yes it had been finished in Amarone casks – this is a rich and somewhat dry Italian red wine – yet what I was getting was less red than white, cheekily light and flowery, with notes of cinnamon, marzipan, juniper, jasmine and light caramel (this last almost imperceptible). In fine, it had the aromatic nature of the perfume department at HBC at Christmas, and French perfumes redolent of the fields of Provence in the summer time. Gradually, as it opened up, slight leathery hints, maybe sandalwood, stole coyly around the others. A wonderful, if very unusual, nose, and I spent a lot of time enjoying it. All this changed on the palate, which had these light perfumes degenerate into a chemical plastic that was – after that almost delicate nose – as shocking as a kick to the rubs. at 46% I couldn’t avoid some heat there, not too bad and medium-to-light-bodied, not so much smooth as clean. Briny, salty, vegetal and herbal, this thing was more in the dry, straw-like nature of (get this) a tequila. Apples almost beginning to go and some dry fruits mellowed slowly into the weirdness of Joaquin Phoenix with a beard on Letterman, and I can’t say it impressed me much. The finish was spicy, herbal (again those green apples beginning to end their shelf life had their moment) and medium long, but was marginally redeemed by the zestiness of those perfume notes stealing back for one last hurrah. The rum as a whole was perky, then morose and then zippy all over again, like it needed a serious dose of lithium to get it on an even keel. The best part of it, I judge, was the nose, which really was quite spectacular. But overall, as I noted above…squirrelly. This may be because some of the products of this distillery which are sold in Europe, are actually agricoles (made from sugar cane juice, not molasses), but this is an educated conjecture on my part….there’s nothing in my research about this rum for me to say that with assurance. I want to be clear that on the whole, I respect and admire Renegade’s lineup and my 84 score here reflects aspects of the quality of this particular rum which is undeniable. It was the first of the European series I’ve really made a dent in (Rum Nation is the other, and I have hopes for the Secret Treasures, Cadenheads and Plantations). For sure it’s a boutique set of rums, taking its cue from the various finished whiskies that launched the fashion many years ago. Perhaps there’s where the issue lies – I say they’re inconsistent, but maybe they’re just not made the way a major rum distiller would, but in the fashion of, and for a palate to please, a whisky maker. And as a result, the end product veers away from a profile which a person who is used to Caribbean tipple would prefer — or is accustomed to — his drink to be. I’ve been asked many times, and see many posts on the Ministry of Rum about “Which rums are good?”, or variations on “Where does one begin to start in a rum appreciation journey?” – I’d hesitate to tell any such curious individual to begin with the Renegade rums, any of them, because of this dichotomy. 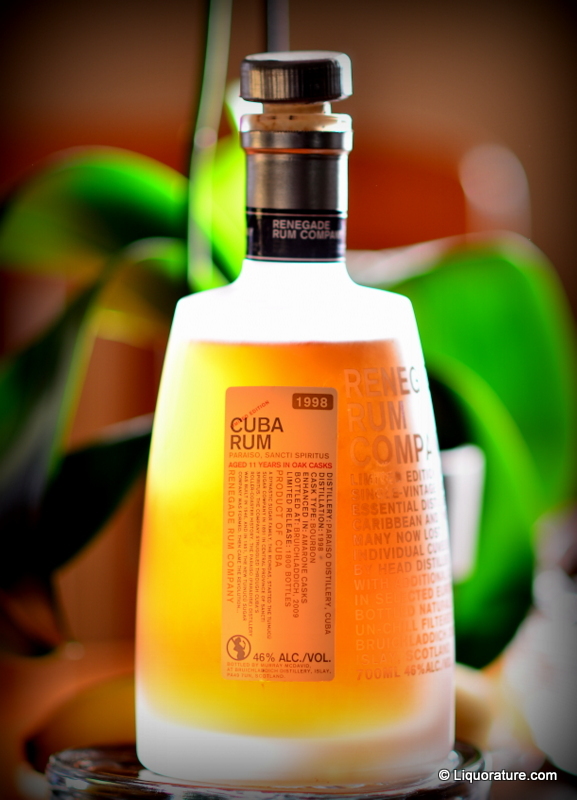 Most of the Renegades are excellent products, some spectacular, some more “meh,” and all are interesting – but occasionally one comes across a wonky off-side spinner like this Cuban rum which, at end, only a die hard rum fanatic – or a mother – could truly love. Have any scores on this site been adjusted to a different metric? The score listed in red at the top of the review reads 83.5/100, while the final paragraph notes, “…my 68 score here..” Am I reading anything wrong? No, you have spotted an oversight. I recalibrated all scores to a 50-100 scale, and while I thought I had caught all textual changes too, apparently not – I have now fixed that here. Scores should be 84 in both places.